The Lilypad: Happy birthday Helen & Eeswary! Happy birthday Helen & Eeswary! At FrogAsia, we believe in doing things together - whether it's working or playing. We strive hard to cultivate an atmosphere of team spirit that infuses all that we do, and we value and celebrate diversity. Read on for a slice of life at FrogAsia! 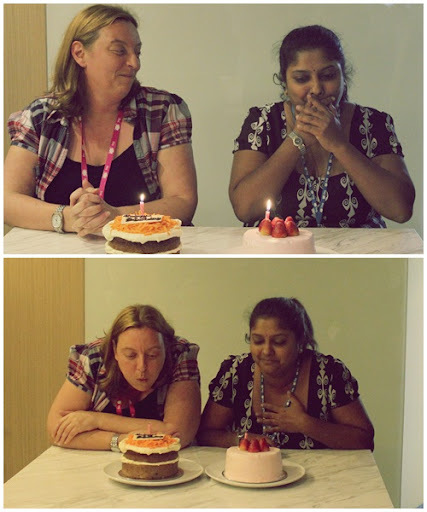 Recently, we celebrated two of our precious staff members' birthday - the hilariously fun Support Team Leader, Helen Rudd and the efficient Office Administrator, Eeswary Devi Peter! 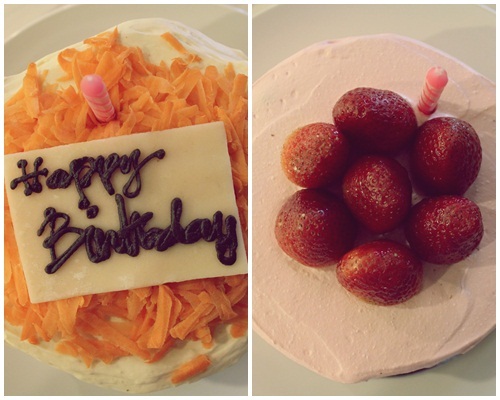 We bought them both two gorgeous-looking cakes from Ben's General Foodstore. 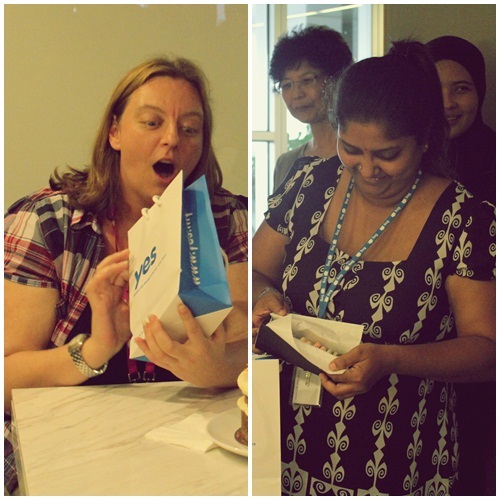 As you can see from their facial expressions, they loved the cake and gifts! Both were pampered with a box of scrumptious macaroons and exclusive Frog badges. Happy birthday, Helen and Eeswary! This year will be your best year yet!